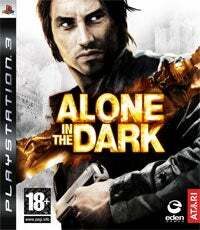 What's New In Alone In The Dark PS3? With the PlayStation 3 version of Alone in the Dark hitting in November, nearly half a year after its PC, Xbox 360, Wii, and PS2 versions, the development team have had plenty of time to fix the mistakes made in the initial release, and fix they have. Repairs have been made to the controls, the camera system, and inventory access, while gameplay tweaks should make car handling a bit more enjoyable. They've tuned the spectral vision system so less is required to complete the game, tweaked the 59th Street level difficulty by adding another checkpoint and clear voice directions, and have even added a brand new action sequence in Episode 6 exclusive to the PS3 version of the game. Hell, they may have even tightened up the graphics on level 3, though I have no official confirmation. Sounds like they're making every effort to make the game better this time around. Perhaps I'll finally give it a go when the PS3 drops in two months. Hit the jump for the full list of changes!GAME FEATURES: PLAYSTATION 3 Full 360° camera control: enhanced camera controls allows complete freedom of the camera and better handling of first person view camera movement for even more immersive gameplay Fine-tuned controls: quicker and smoother reactivity of the hero's movements in third person view make for more rapid movements in nail-biting situations Inventory system more accessible: more logical jacket inventory system with the ability to combine objects using only the D-pad, and more fluid hero movement makes item selection a breeze. More tips: players will get all the help they need to get through every situation and get the most out of the game Spectral Vision tuning: a tutorial explains the need to burn roots in order to gain spectral vision and difficulty tuning means less spectral vision is required to reach the end of the game Improved car dynamics and handling: car handling has been tuned to make driving a car a walk in the park in every situation, including increased suspension and reduced drift 59th Street level tuning: one of the game's most exciting sequences just got better. 59th Street has been tweaked for a more satisfying race against the fissure with difficulty tuning, an added checkpoint at Columbus Circle and clear voice directions given by Sarah Brand new thrilling action sequence: an exclusive new sequence has been added in Episode 6 for even more pace and variety of gameplay in the episode.